Three things you wouldn't normally think go together all that well! Today I'm writing reports. Something that isn't the most fun at the best of times, but with more demands placed on how we report against National Standards, it's becoming quite depressing. The only thing making me feel happier is that I am only writing the Reading and Writing comments, Mrs Z will worry about maths! I find it so hard to figure out how to say your child has made 12-18 months progress in the last two terms, but they are still failing. And yet it has to be done! It's like a positive punch in the face! Hence the chocolate fudge. Something good has to come out of working on a Saturday right? 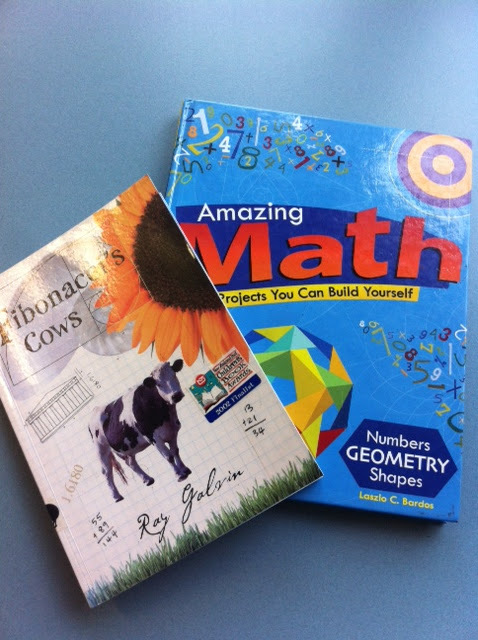 I love reading maths books to my students!! Here are some books we looked at during book week. How much is a million? 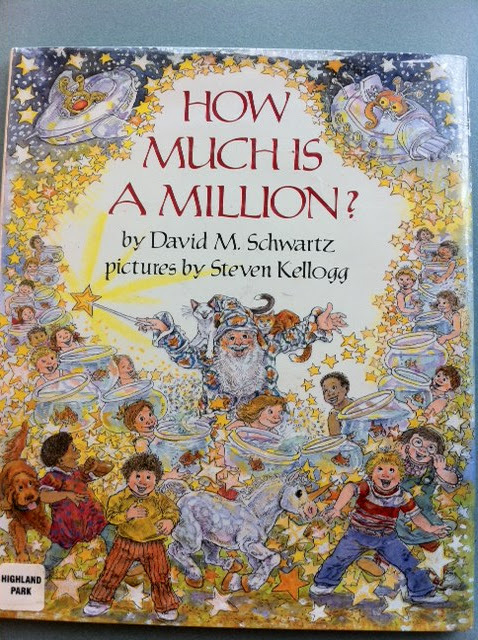 by David M. Schwarts takes you on journey to explore really big numbers. 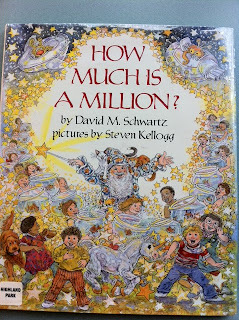 After reading the book, we practised reading numbers... up to a zillion! Students were so excited to be able to read numbers with 15 digits. Fibonacci's cows by Ray Galrin is about Ryan who has a special Maths assignement to do. He has only one day to solve the puzzle of Fibonacci's cows - otherwise he'll miss the biggest soccer match of the year! I found some Fibonacci project in Amazing Math - Projects you can build yourself. We looked at the Fibonacci number pattern and linked it to nature and art. Some of the student work were amazing. Knowing your basic facts is such an important part of Maths. We always tell our students: "If you don't know your basic facts, you will not be able to successfully use the strategies to solve problems." I found it really hard to motivate students to learn their basic facts and even when they were motivated, they didn't know which ones to learn first. 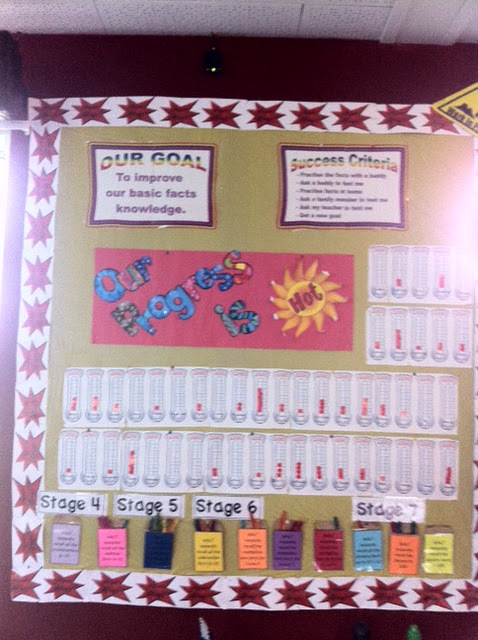 Have a look at our Basic Facts bulletin board. 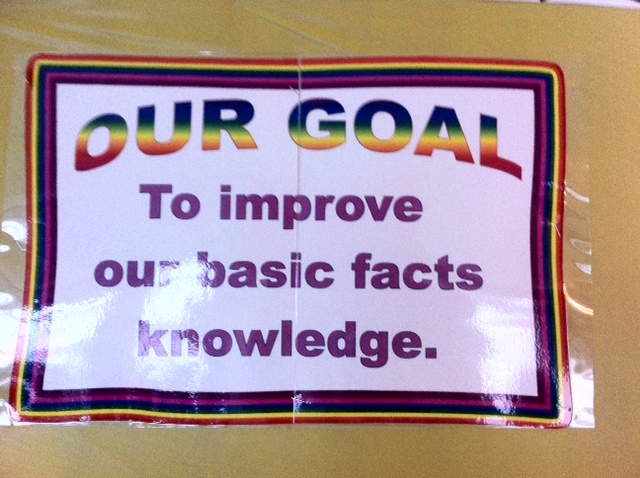 As a class, we looked at our data and decided that basic facts was an area we needed to work on. We made that our class goal. We then brain stormed ideas of what we can do to achieve our goal. Every student got an ice-block stick with their name written on to put in the envelope of the facts they were working on (next steps). When they know the facts, they move their stick to the next envelope and get a sticker on their thermometer. The facts they need to learn are easily accessible. I bought a shoe storage hanger from the $2 store. 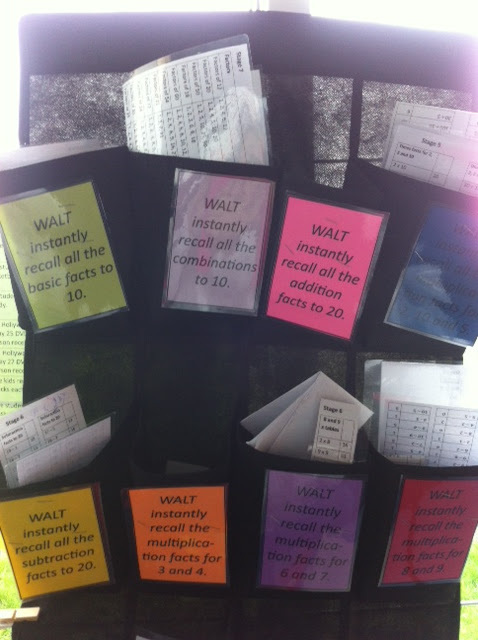 Inside each pocket are laminated cards with facts and answers as well as fact cards on rings to practise. They also get a sheet to take home. 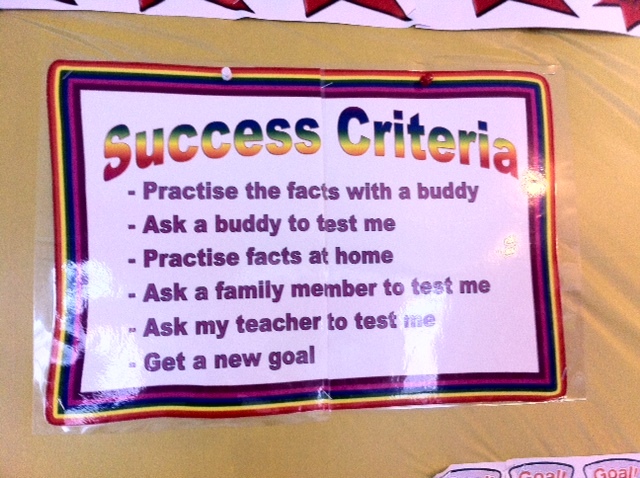 Students loved the idea and were more motivated to practise their basic facts. They also knew exactly which ones to practise. We have lots of students asking to come in at playtime to practise with a buddy!! We're pretty new to this blogging business, but we do want to get some people to follow us! SOOO for the first time I'm going to try and link up with other blogs and follow some other people! To all those already in the blogosphere - I'm truly sorry if I have done this wrong! Bear with me. ANY WAY. I've just linked up with Bloglovin and from what I can see, it is great! Every blog you are following is there on your homepage, a bit like the old facebook. You can click on the links and it takes you straight to the actual post, and what's better, it marks when you've read something! If you're anything like me this is great - I always forget what I've done and end up feeling like "haven't I read this already?" So Tori has all the info that I'm still getting my head around! I don't have a wonderful TPT store, so can't give anything away. But I will promise to follow every blog that follows me! YAY. Check out the awesome costumes that the staff and students wore today! It was freezing this afternoon but we braved the cold and had book week assembly. Thanks to Mrs F and Mrs K for your hard work on book week! We loved it. Winner of the best dressed teacher - and doesn't she look great! I love book week. It's the only time of the year when grown adults can go to work dressed in costume. Sure you can have parties and go to the 7's dressed up - But we got to dress up today and go to work! Our awesome literacy/library team along with the student council have worked really hard to create a Dr Seuss themed book week. We have had people from the community come in to school to read to all the classes. The year 7/8 team even had a famous actor come in! Lucky!! In the E-Z class, we were quite spoilt, and so far have had three readers come in. Paul from Ports of Auckland reading to us! The even better part of Book Week is the competition aspect. Miss E is TOTALLY competitive, and loves to win. So we have done our very best to win every competition. The teachers in the Tui team - year 5/6 teachers all dressed up as the 101 Dalmations. We even have a Cruella Deville! The other competition is to share our response to "The Cat in the Hat". This could be ABSOLUTELY anything. We could create a book, make a giant bookmark, make a movie - Anything. In the E-Z class we decided to create a book where each person had their own page to decorate. We took photos using the app cartoon camera (or here for apple). Then we printed them off and gave each student a page to decorate how ever they wanted. We suggested they might write their favourite Dr Seuss quote, or book. Check out the final product below. We are all anxiously waiting to find out the winners! We think we are in with a chance to win! Each kid having their own response - Now that's what I call E-Z! This week is book week at our school. 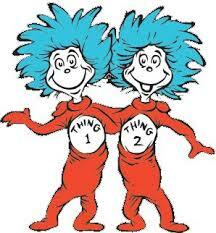 Tomorrow is dress up day, and in the year 5/6 team we had planned on going as the Things, from The Cat in the Hat. Will post pictures of Plan B tomorrow! So much for keeping it E-Z! One of my biggest frustrations as a teacher has always been the first 10-15 minutes of the day. You have kids coming at you from all directions with money for various things. Parents pop in and need to talk to you, and in my experience, grab the parents while you can! Meanwhile you have different admin things to do, the roll, lunches, etc. It can get quite chaotic if you don't have a system! I don't like having the kids sitting on the mat unless I have them there for a specific reason - namely I'm teaching them something. I've had years when I start the day singing (and I'm still a great believer in this!) but this year it hasn't worked out that that is a possibility. In the E-Z class, even though we are team teaching, unfortunately we are in two separate rooms next to each other. 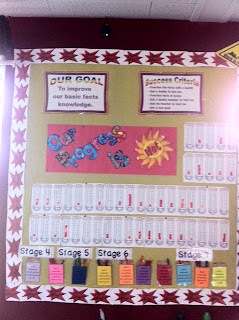 This means we spend from 9-920 in our own rooms, doing the above tasks, and then come together for our day of learning. It has worked well, but I still hate the idea of the kids not using that 20 minutes as some kind of learning experience! Who says they can't be learning while I call the roll, or sort through the money that is coming in for our trip to MOTAT next week? Each morning we have 5 questions written on the board (or in a powerpoint if I am on to it!). These questions are generally based on what we have been learning. A maths strategy questions, or a reflection from what the learning was the day before. It's Book Week this week so Mrs Z has some questions today based on books. It's an E-Z way to have the kids actively learning from the second they get in the class. On Friday we have a fun activity for the kids to complete. A wordsearch, or a spot the difference, the possibilities are endless! It has made the mornings a lot less stressful! It means that I can call the roll, and collect money, and talk to any kids I need to without the rest of the class sitting around making a nuisance of themselves. The kids are each given a morning work book that they can decorate. We give them 5 questions a day, but really you could do as many as you wanted. A Friday activity, taken from the internet. Even on the last day of the term we make them work! An example of some of the questions we have used. How do you manage your students in the morning? Do you have any special routines that make your life E-Z? As someone who LOVES the arts, I'm always looking for exciting ways to incorporate art and/or music into the daily routine. Music has so many benefits that it is crazy more people don't use it! 1. Music brings people together! No matter where you come from, no matter what you believe, music has a way of breaking down barriers. 2. Music gets your brain working. This is your brain on music is a book I have started reading hundreds of times, but never made it all the way through. Not because it is boring, but because it just blows me away each time I read the next bit! It is crazy the science behind how your brain reacts to music. 3. Music makes you smart. Learning an instrument can help in SOOOO many different ways. These guys say it better than I could summarise, 18 Benefits of learning an instrument. 4. Music can make you happy. That feeling you get when listening to music and you get "chills" or "goosebumps" is actually your body releasing the chemical dopamine into your system. 5. Music is fun. It makes learning fun, and makes exercise fun. It's an enjoyable thing, and we should all put a little bit more of it into our lives. 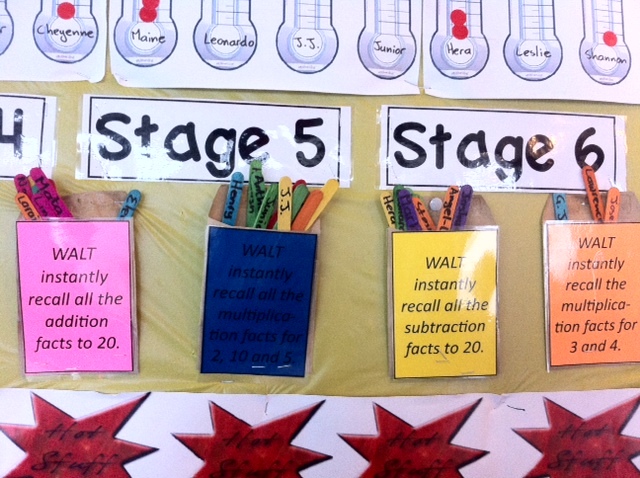 Here are some E-Z ways to add music to your teaching programme. 1. Have a clean up song. Programme it into your computer to play at a set time. You wont have to worry about the time, and your kids will do a quicker job of tidying up. My favourite clean up song is William Tell. 2. Play soft violin and flute music in the background when your class is reading (or even when you are reading to your class). It can help to calm them down and keep them focussed on what they are doing. 3. Sing! Find easy, appropriate songs to sing with your class. It's makes a fun way to start a day, and gets the kids into a learning frame of mind from the get go. 4. Invest in a ukulele. Not only are they an easy (and nicer sounding instrument) to teach than a recorder is, they are easier to play. Most kids songs can be played with only 3 chords. Check out Dr Uke for a tonne of ukulele songs. Let me know how you use music in your class! 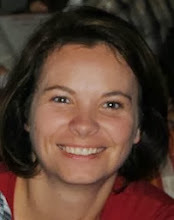 I'd love to hear your E-Z solutions. WOOOWWW exciting things happened in the E-Z class today! 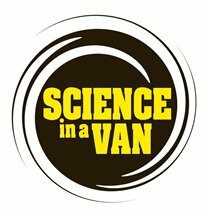 Because of our "cause and effect" learning this term, Mrs Z booked in the Science in a Van guys. What happened to the gas in the hot can when it was dunked in the cold water? Miss E about to have water poured on her head! Lucky there were polymers in that water and not a drop hit Miss E's head! Thanks Science in a van! We enjoyed learning with you. Hopefully we can see you again some time! Today marks the start of our inquiry projects. 12 groups, each with four kids in each, set out to tackle some of the big questions in their learning. We have focssed our learning this term on the concept of "Cause and Effect". This is a HUGE area of learning to cover, so we focussed our ideas down to Natural Disasters. With the ongoing saga in Christchurch with the earthquakes, and the tornadoes that have affected Oklahoma and Texas, there have been plenty of real life examples to inspire and promote learning. Armed with the marking rubric, a computer, a new research notebook, and their brains, our groups have embarked on what will be an exciting journey into the world of disasters. Hopefully their presentations don't end up that way!! I'm sure they wont. It's always hard as a teacher to let the kids go. I feel almost redundant as I watch the kids exploring what they want to learn. I've given them as much guidance as I can, but it is still hard not to jump in and "save" them from making a mistake as they go about this journey of discovery. I've taught them all the skills they need, they have the necessary resources, and their brains are definitely tuned in to the right channel. All I can do is let them fly! Here's to me letting go and letting them have a go! Tuesdays are fun days in the E-Z class. The timetable is swapped around slightly and we have maths first up. Today Miss E worked with a couple of our groups to learn about decimal numbers. Already we think we have mastered the game! After morning tea on Tuesdays we usually split into boys and girls and head off to The First Tee. First tee is a programme that teaches social skills, like honesty, courtesy, and sportsmanship, through the sport of golf. Mrs Z usually takes the kids out while Miss E teaches literacy to the remaining students. Today we had a writing sample to do, which proved difficult for some! I'm always surprised at how hard it is to follow instructions! The boys worked on their writing samples and finished about 1/2 an hour early. Not wanting to do something boring we decided to go outside and do something exciting with our spare time. The challenge - Create an alien being using the sidewalk chalk. The criteria - Had to be original, and it had to have a story. Take a look at what was created! This is my favourite alien. Very creative use of the four-square game board! This alien was kicked out of his home planet because his dad was jealous of his good looks. "Mr Boxer" is here on earth to win all the boxing competitions. Not to be left out, the girls decided that they would have a dancing competition in their 5 minutes of free time this afternoon. The squeals and laughter made it sound more like a slumber party than a classroom. That's the way we do it here in the E-Z class! Reports, National Standards, and Chocolate fudge. Get those mind juices flowing!